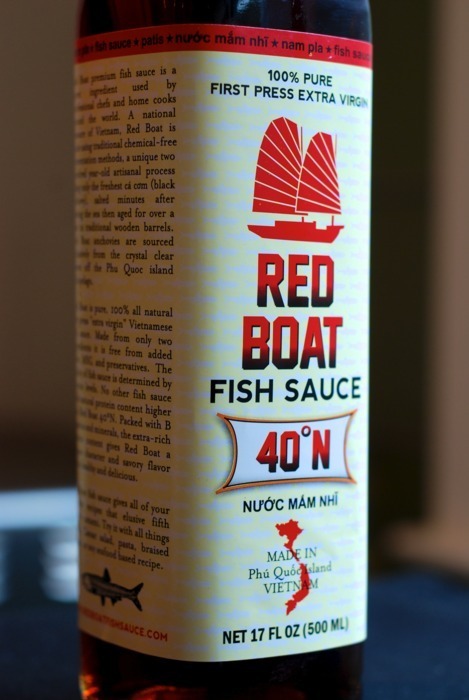 Red Boat Fish Sauce Giveaway! Especially if the prize is a bottle of Paleo-friendly, all-natural, first press, “extra virgin” Red Boat fish sauce. This stuff is truly remarkable – it’s liquid umami in a bottle! Plus, it’s not easy to get your hands on (yet!). For example, in the San Francisco Bay Area, it’s currently available only at one store in SF’s Excelsior District. Follow me on Twitter (@nomnompaleo) and tweet me your favorite use of fish sauce. There’ll be two winners – one picked from Facebook AND one from Twitter – so you can double your chances of winning by both liking and following me. Oh, and to receive a prize, you must have a U.S. mailing address. I’m no xenophobe – it’s just too expensive to mail the stuff abroad. International peeps, if you win, you can always send it to one of your pals in the U.S. I know, I know – I’m asking a lot of you. Frankly, even I couldn’t tell you my favorite use for Red Boat fish sauce ‘cause I think it makes EVERYTHING taste better: stir-fries, braises, roasted veggies, you name it! But put on your thinking caps and dazzle me all the same. To be eligible, you need to comment or tweet by Sunday night, 5/8, at midnight PST. I’ll do a random drawing from the Twitterati and a separate one for Facebook fans and announce the two winners at the beginning of next week. Good luck!